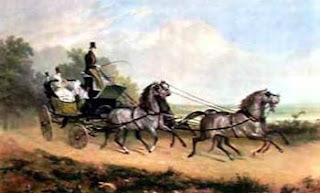 The Four-in-Hand Club has featured in many Regency novels, including several of Georgette Heyer's books. But I discovered to my surprise that the official name of the group was the "Four Horse Club", and it was also known at the Whip Club or the Barouche Club. It was a short-lived group; most sources indicate it existed from 1808 to about 1826. It was started by Charles Buxton and some of his friends in a low-key rivalry with the B.D.C. -- the Bensington Driving Club -- founded in 1807. The York Herald newspaper on Saturday, 06 May 1809 describes the Four-in-Hand Club in detail. It must have been a quiet news day. The illustration below shows the 'Fashionable Barouche with Ackermann's Patent Moveable Axles'. Those axles wouldn't have been available in the early years of the club. 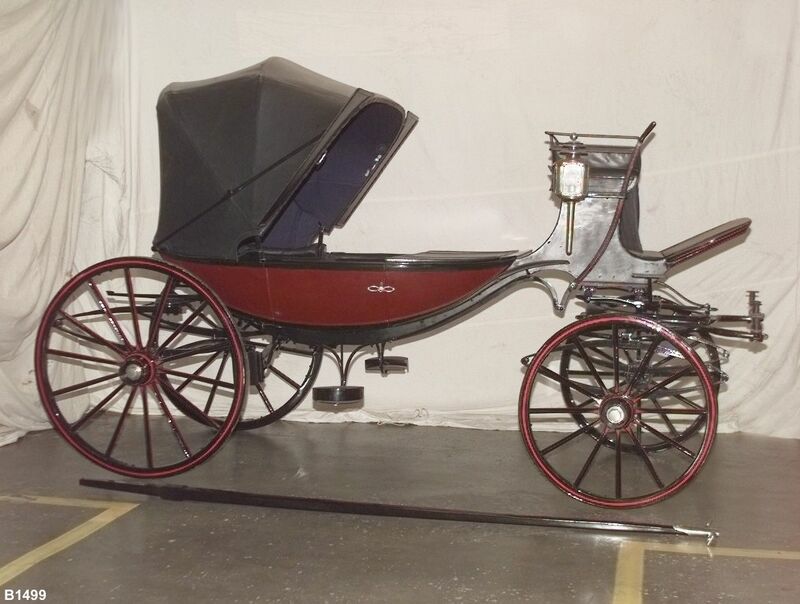 This barouche is in the collection of the Museum of Applied Arts and Science in Australia. A newspaper in 1811 indicated that the club was still operating in its accustomed manner, but after that year it appears the club became less newsworthy. The Four-in-Hand Club embodies the idleness of the rich, the Corinthian values, and the privileged world of Regency gentlemen. We are indebted to the newspapers for recording its activities, its idiosyncrasies, and its style.